Can you imagine experiencing a beautiful sunset or star lite night from the front porch of your private 9 acre setting. Home has 400 ft deep well, 10 in. 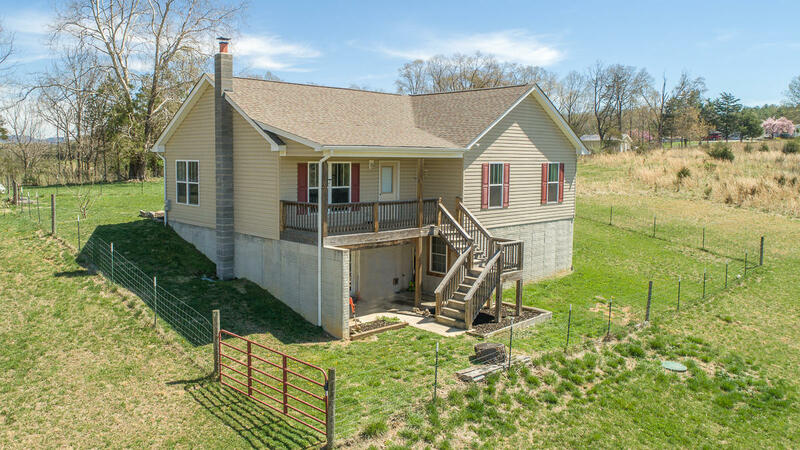 poured concrete foundation, French drain around house, Basement has rough-in for full bath, french doors to patio, Flue for wood stove, Could be finished for 4th bedroom with window. Deeded 20 ft. right away. Large island in kitchen, 50 gal. water heater, Large fire pit and fenced yard. Seller has mowed a path around the property in case you want to walk it.